Kitchens often forgo the little updates and refreshes that the rest of your homes enjoy. Your home should grow with your personality and your family. Here at Lambert Welch Kitchens we think it’s about time you freshened up your kitchen to suit you. It’s important that your kitchen reflects your personality as well as your lifestyle. You should seriously think about your routine and what you want your kitchen to be as this will help you decide how to personalise your kitchen and your space. 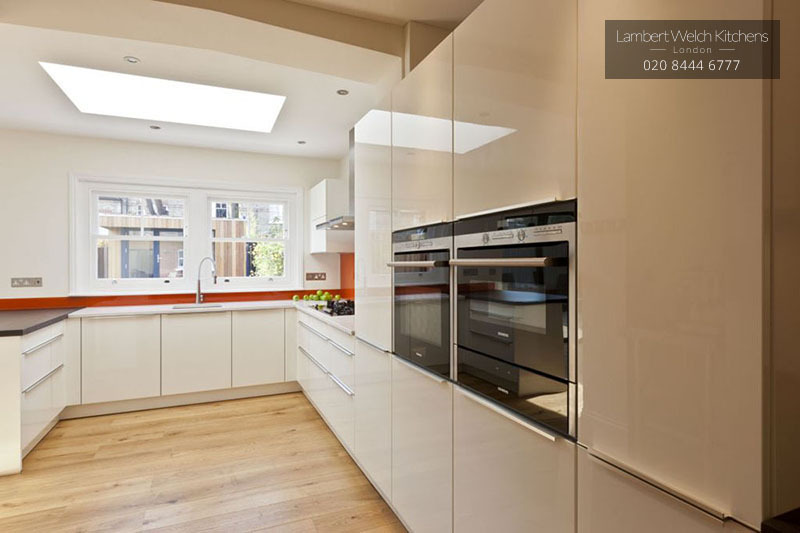 If you need extra help, Lambert Welch Kitchens create unique, practical designs personalised to you. If you are a keen foodie who loves to experiment or entertain, you should consider investing in attractively designed small appliances. This will ensure that the items on your countertops are stylish as well as functional. If you are an avid entertainer but prefer the sleeker, more contemporary look with as little clutter on the countertops as possible, a wall of tower block units would suit you. All the necessary appliances can be integrated into the units with so much storage potential to hide all your untidy kitchenware. View our portfolio for inspiration and to see what we can achieve in your space. If you love your gadgets and like to keep up to date with the latest tech, make sure you’re not forgetting to update your kitchen. Adding a new countertop wine cooler, wine fridge or slide and hide oven will highlight your personality in your space. Appliances and tech consume space in your kitchen making this a stylish and practical update, as you will certainly benefit from an improved user experience. Whether your choosing an entirely new kitchen or just looking to give yours a face lift, it’s important not to forget about the add-ons. Handles, fixtures and taps can all contribute to a kitchen’s cohesive aesthetic. If you prefer a contemporary look, you might consider going handleless. This is sometimes not the preferred choice for families with young children as fingerprint and hand marks can be time consuming to keep on top of. The smaller fixtures in your kitchen can still be a feature. A statement faucet and sink in a bronze affect can implement colour, texture and luxury into an otherwise functional space. Investing in one or two items like this is another way to maintain a tidy space that is not devoid of personality. Nothing draws the eye in a kitchen quite like a beautiful island. They are the centre of the room and should be the centre of attention. For your island to really stand out, you might consider juxtaposing it with the surrounding countertops, meaning you might only need to update your island rather than your entire space. For example, installing a bespoke kitchen island, featuring a natural wood countertop, styled with fresh, green plants could emphasise a natural, Scandinavian aesthetic. If you prefer premium, innovative styles to highlight your own creative personality, we work with brands like Next 125 for the best in kitchen design. 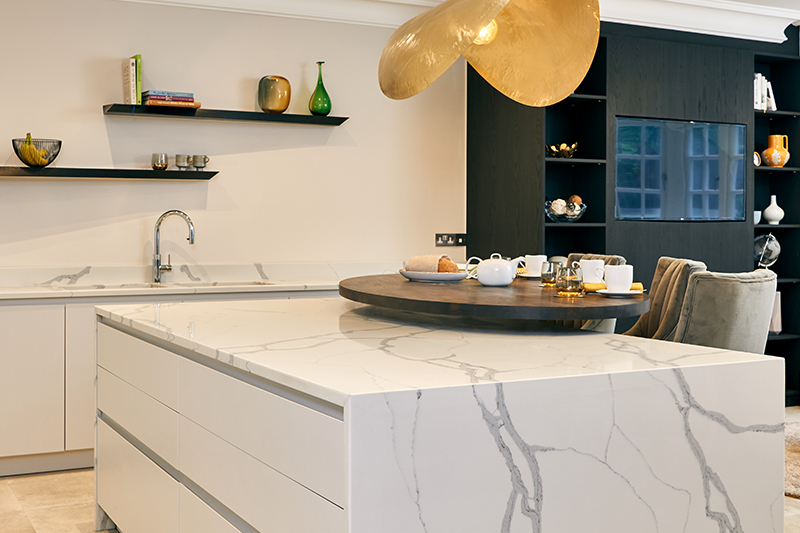 If you are looking to install an island to personalise your kitchen, get in touch with the team at Lambert Welch Kitchens. It’s a myth that you need a lavishly large room to benefit from an island.